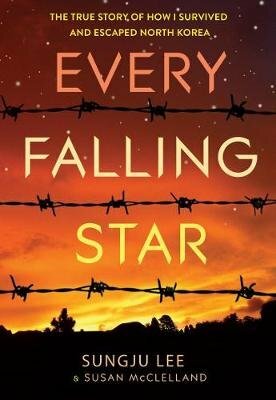 Every Falling Star, the first book to portray contemporary North Korea to a young audience, is the intense memoir of a North Korean boy named Sungju who was forced at age twelve to live on the streets and fend for himself. To survive, Sungju creates a gang and lives by thieving, fighting, begging, and stealing rides on cargo trains. Sungju richly recreates his scabrous story, depicting what it was like for a boy alone to create a new family with his gang, "his brothers," to daily be hungry and to fear arrest, imprisonment, and even execution. This riveting memoir allows young readers to learn about other cultures where freedoms they take for granted do not exist.